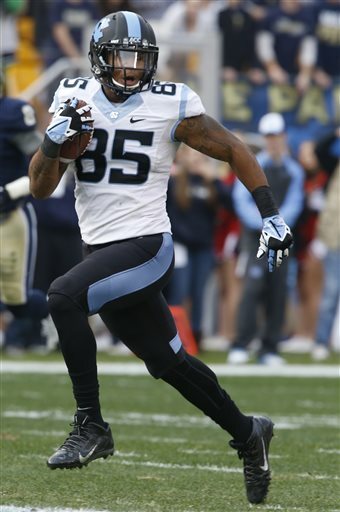 The Detroit Lions select Eric Ebron from North Carolina. This enhances the offensive firepower across the field for one of the best offensive teams in the NFL last year in the Lions. Ebron is basically another WR to go along with Calvin Johnson & Golden Tate, but can also block as well. Along with having Joesph Fauria as well, The Lions offense should be one of the most dominant in the NFL this upcoming season. This HAS to be a playoff season for this team, no question about it, but not only a wildcard run, but a deep run into January. TE Eric Ebron goes to the Detroit Lions with the #10 overall pick.